At LePier Shoreline & Outdoors, our goal is to help you choose the right dock or boat lift that will provide a lifetime of ease and use. We’ll guide you through the decisions, providing options and stand back while you choose your favorites. We will deliver your product to your lake place, assemble everything and install it for you the first time, gladly answering any questions leaving you reassured, confident operating, installing and removing. Every project we do is uniquely different and yours. We will have product to fit all types of demanding and changing shorelines. We understand that time on the lake can be limited. That's why we invite you to let us do the work for you leaving you with more time to enjoy the lake with family and friends. So we offer seasonal installation and removal of your shoreline product. We will install your product for you leaving it ready for a fun filled summer and when your done we will remove it, placing it where you choose and doing the necessary maintenance your manufacturer recommends. 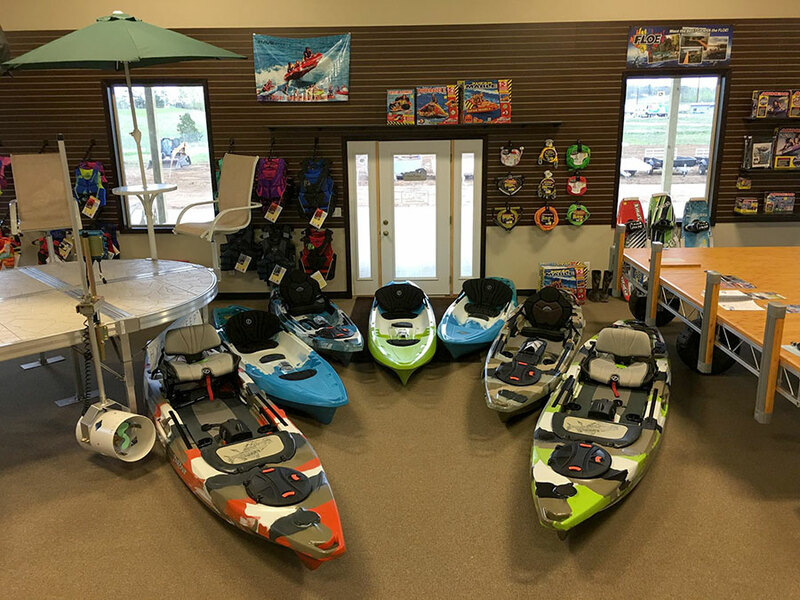 A Full Line of Lake Toys! We have the gear for all the water sports! Check out our line of kayaks, paddle boards, intertubes, water skis, and rafts. 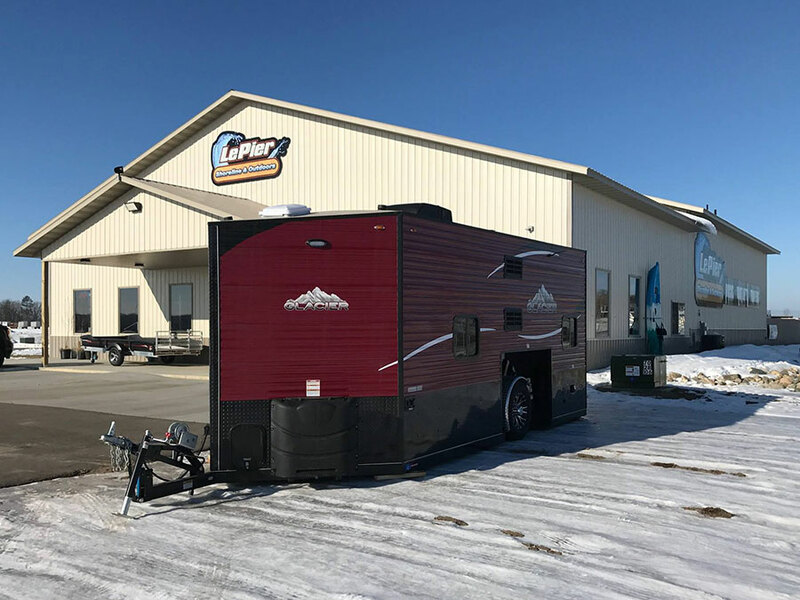 LePier Shoreline is a certified dealer of Glacier Ice Houses. We carry a wide variety all year! 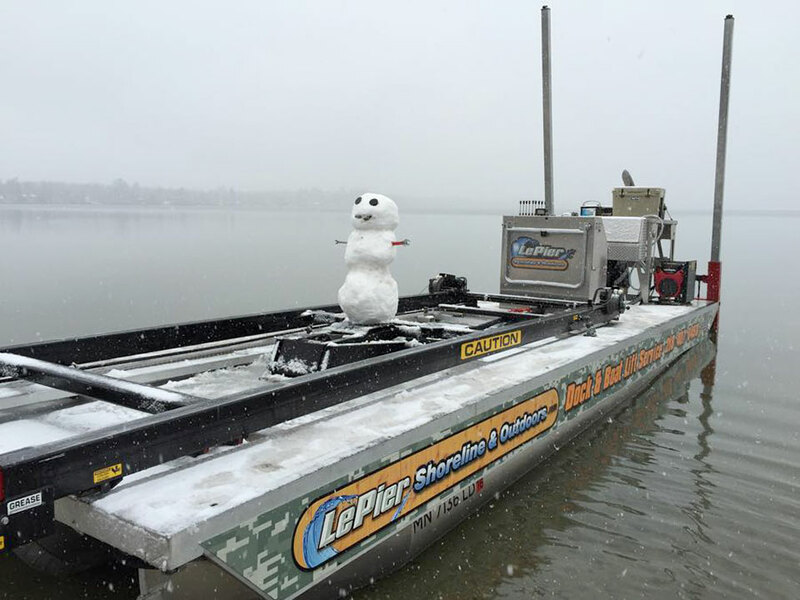 We use a barge for lift and dock transportation across your lake! call today to get a custom quote on a new dock!